Coming Ashore — What a Delight! China Housing Bubble Nearing the Big Pop? We returned from a grand tour of China nearly two years ago, and the one overwhelming economic perspective I’d gained was that China was experiencing a housing bubble that was near the bursting point. Today’s headlines indicate this is still true, and an explosion of the Chinese housing bubble could have economic repercussions for the U.S. every bit as great, or greater, than the risks of European economic meltdown. I’m not sure there is much we could do about it — the bricks and mortar in China are set in place, and the shelves at U.S. Walmarts are currently crammed with Chinese goods. Just back from 2 weeks in China, I came away with one overwhelming impression: China is temporarily hyping its economy building millions of urban residences that won’t be filled, creating a housing bubble that will make the one in the U.S. pale into insignificance. This brand new city of high rises along the Yangtze River in central China, for example, is just 5 years old and has a population of 600,000, larger than Milwaukee. Everywhere we went, from Shanghai and Beijing to cities in the interior, construction cranes span the horizon and modern highrises crop up in clusters that could house another 20,000 here or 50,000 there. 80% of the Chinese are rural, and 15 million a year move into cities in search of jobs in new and growing industries. By 2004, China had 108 cities with populations over one million, and that will swell to 221 such cities by 2025, vs. 35 in all of Europe. 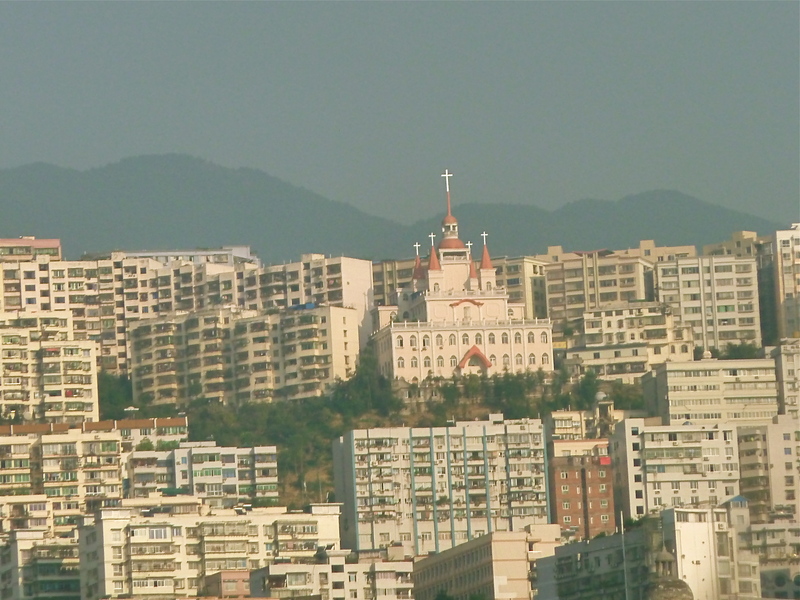 My feeling is that jobs won’t grow fast enough to keep up with the housing boom, and I understand from a recent article (http://www.zerohedge.com/article/next-chinas-property-bubble-step-function-explosion-vacant-inland-cities) that there are already 65 million vacant new urban homes in China. Building all these homes employs a lot of people, generates a lot of investment in construction and artificially makes the economy seem more active and prosperous than it is. But how long can China get away with a currency with buying power 40% below the dollar, and nearly 70% below the Swiss franc? As purchasing power tries to balance out, the demand for cheap Chinese goods may falter, industrial growth may slow, and China will have a housing bust to end all busts. Then what will the central planners do — manage another people’s revolution? My sense is that China’s growth is going too fast, and is being forced beyond what markets will absorb. China’s urbanization is impressive, but in my book, excessive. 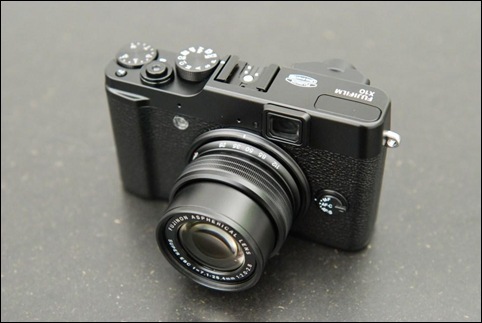 Needed: How to Make Great Photographs Using the Multi-Talented Fujifilm X10? I recently obtained a new Fujifilm X10 compact camera. It is small enough to carry easily, unlike bulky DSLRs, yet seems to offer the potential to take high quality images under a wide range of conditions. The little jewel comes with a detailed instruction manual that explains “what” the multitude of controls do, but not “how” to use them together to take great photos. I’ve looked online and found a few partial stabs at strategies for using the smart but complex features, but nowhere yet have I found an even partially complete and understandable guide to getting the most out of this technological marvel. 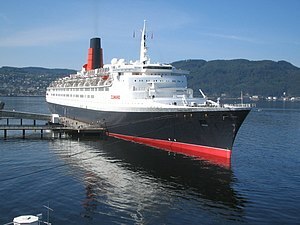 In 1995, Vicki and I boarded the famed Cunnarder, the QEII (1969-2008) at the Port of New York and set sail on my 10-year sabbatical from McDonald’s for a crossing to England. Aboard was famed science fiction writer Ray Bradbury, then in his mid-70s, who died just yesterday. I’d always been a science fiction fan, having grown up glued to Flash Gordon (the original) on TV, so was delighted to have the opportunity to spend 2 hours with him in the theatre, and hear him talk about writing the Martian Chronicles and Fahrenheit 451. He told great stories, as we all know. 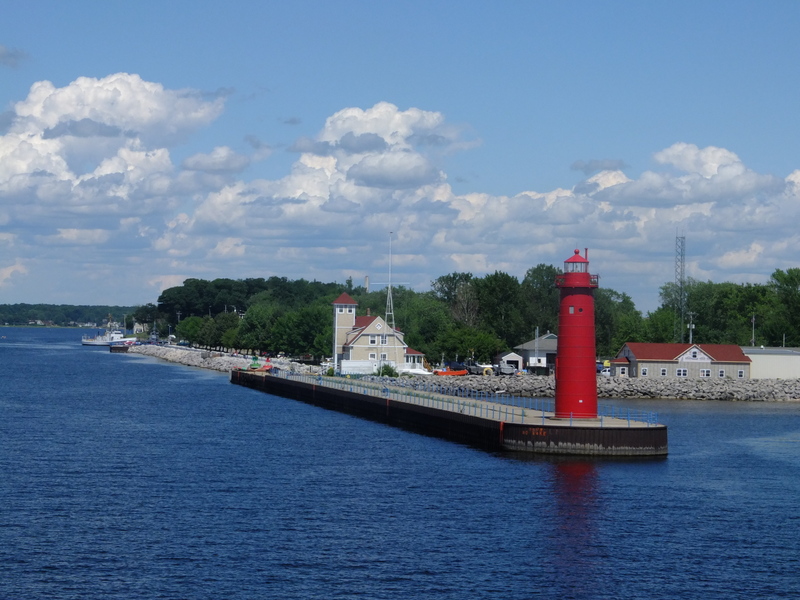 That classic ocean liner crossing, with its black-tie dinners in the Queen‘s Grill and long sunny afternoons looking out to sea, was a memorable experience for someone like me, who had grown up cruising on small boats on inland lakes with my family. To mark the opening of the St. Lawrence Seaway, a flotilla of seven warships escorted the Royal Yacht Britannia through the rivers and lakes all the way to Chicago. It was a muggy July 20th in 1959, when the Brittania, then almost new, dropped anchor at Chicago’s inner harbor, heralding Queen Elizabeth and Prince Philip‘s arrival, the first to the city by a reigning British monarch. The Queen’s barge landed at the Monroe Harbor seawall, since known as the Queen’s Landing, and she crossed a red carpet across Lake Shore Drive to Buckingham Fountain, where she was greeted by Mayor Daly and Governor Stratton. A million gawkers lined the shoreline and fountain area. They paraded in open cars up Michigan Avenue, crossed the Chicago River, and proceeded to lunch at the Ambassador West Hotel.